Enjoy a stay in the charming, turn-of-the-century style of this attractive little bed and breakfast, located in the smart Auckland district of Mount Eden. 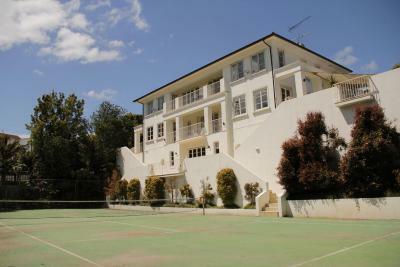 This 5-star B&B features spacious living and entertaining areas, surrounded by balconies that overlook the tennis court. Guests can relax in the outdoor swimming pool or the guest lounge with fireplace. Set in an English cottage built in 1929, Chalet Chevron B&B Hotel offers accommodation with free breakfast, served in a lovely dining room that overlooks Waitemata Harbour. All rooms feature a TV and tea/coffee making facilities. Just 10 minutes’ drive from Takapuna, Auckland Birdwood House B&B offers free WiFi and included breakfast. Guests enjoy free on-site parking and a communal lounge area. All rooms offer a flat-screen TV and a DVD player. 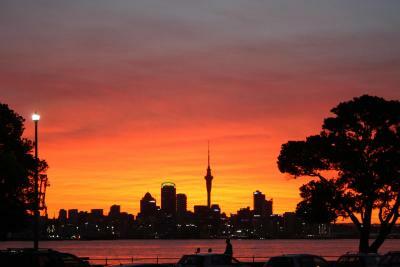 Offering free Wi-Fi and free on-site parking, Admirals Landing Waterfront B&B is located in Auckland. Guests enjoy free continental breakfast. Each room has satellite TV and sea or garden views. Greenhithe Bed and Breakfast is located in Greenhithe. Free WiFi access is available. The shared bathroom comes with free toiletries and use of a hairdryer. You can enjoy mountain view and garden view from the rooms. Featuring free WiFi and a terrace, The Haven B & B offers accommodation in Hillsborough, 9 km from Auckland. Free private parking is available on site. Rooms are equipped with a private bathroom equipped with a bath.